Spring is here and I couldn’t be more excited! I’m really looking forward to longer days and warmer weather. Last week my kids were on Spring Break, and unlike last year, we didn’t go on vacation. While I would have loved to go somewhere tropical for the week, it was nice to do some fun things close to home. The highlight of our break was shopping at Colorado Mills mall in Lakewood. 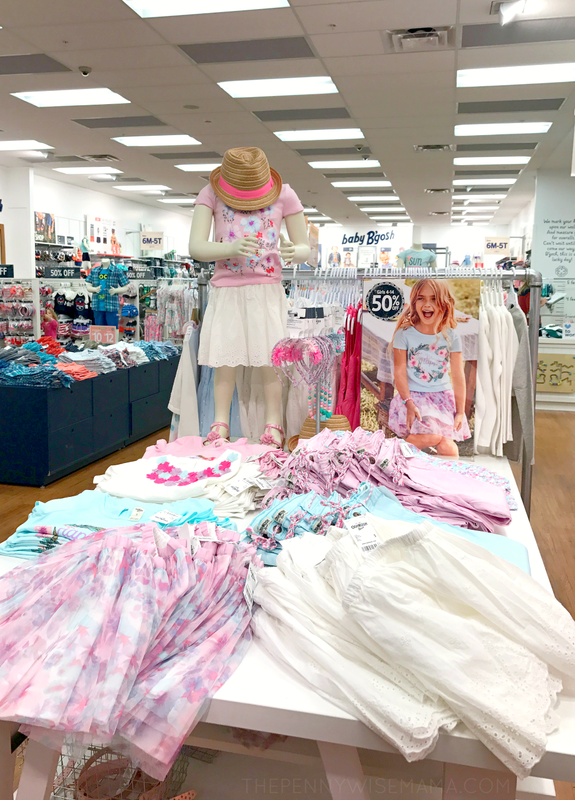 We had a lot of fun and found some great deals on spring apparel! If you’ve never been to Colorado Mills, you’re in for a real treat. It’s not like other malls. It’s unique in that it is Denver metro area’s only indoor outlet mall (yay for great deals! ), and with the largest variety of stores and fun activities for kids, it is a great place for families. You’ll find a wide variety of dining options when you get hungry and a movie theater if you need to take a break from all the shopping. There’s something for everyone and that’s what makes it a great shopping destination. With warmer weather underway, it was the perfect time to head to Colorado Mills to shop all of the awesome spring deals. 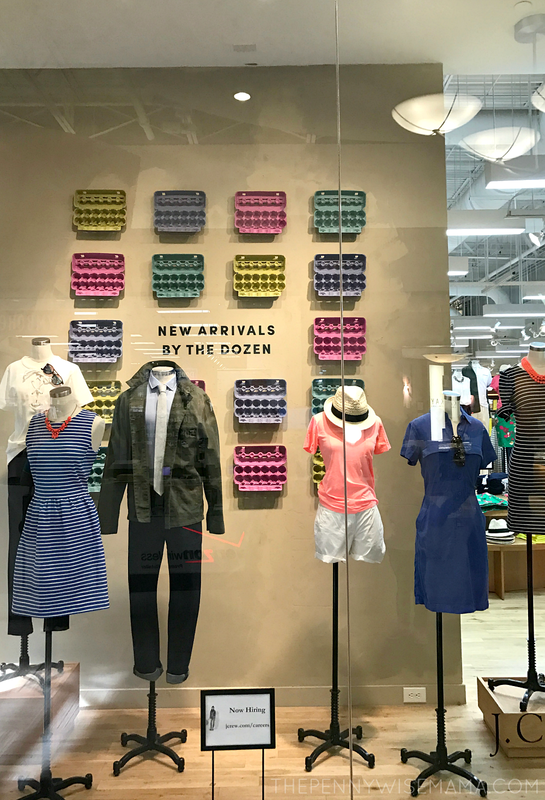 The mall was filled with bright, colorful apparel for spring and we were able to score some great deals at stores like Gap Outlet, Nike Factory Store, OshKosh B’gosh, H&M, PacSun and Journeys Kidz. 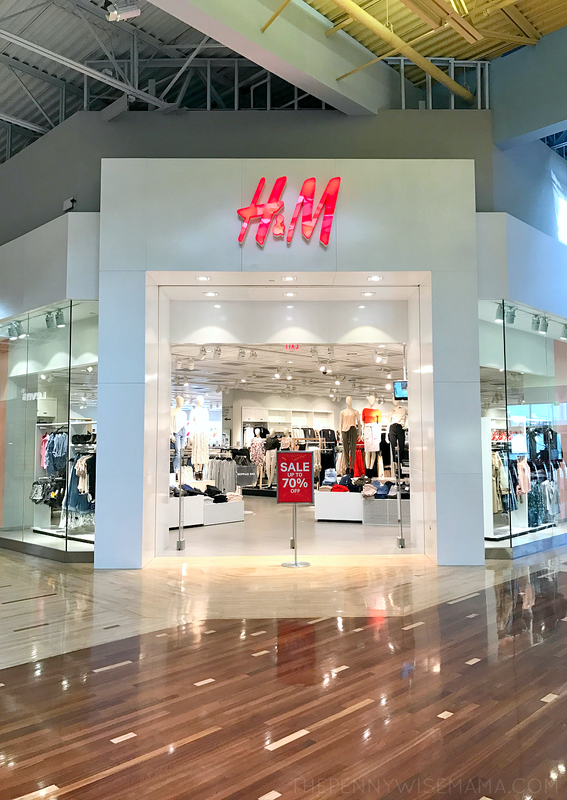 Many of the stores are offering deals such as Buy One, Get One, as well as percentage discounts to help you save on all of your spring shopping. For example, my husband and I found some awesome deals at Nike Factory Store: take an additional 20% off clearance shoes and 30-50% off workout attire. This totally made my day since I live in workout clothes! Surprisingly, my teen son loves to shop. When he found out we were taking a trip to Colorado Mills, he planned out where he wanted to shop and what he wanted to buy. He was pretty happy to score 70% off at H&M and Buy 1, Get 2 Free at PacSun. My twin girls are starting to like shopping more and more as they get older. They were super excited to get new outfits from OshKosh B’gosh and fun, new shoes from Journeys Kidz. All that shopping will make you hungry! At Colorado Mills, you’ll find plenty of great dining options to choose from. My family loves Racca’s Pizzeria. 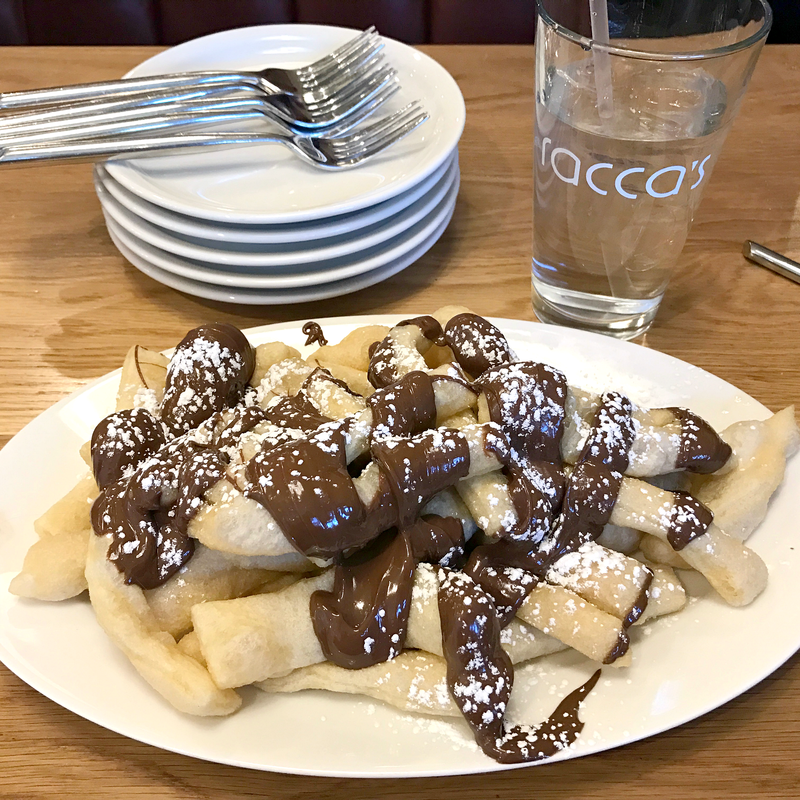 The service is fantastic, the pizza is delicious and the Nutella Nuggets are AMAZING — a must-try! My family loves going to Colorado Mills because it is an experience that the whole family can enjoy. 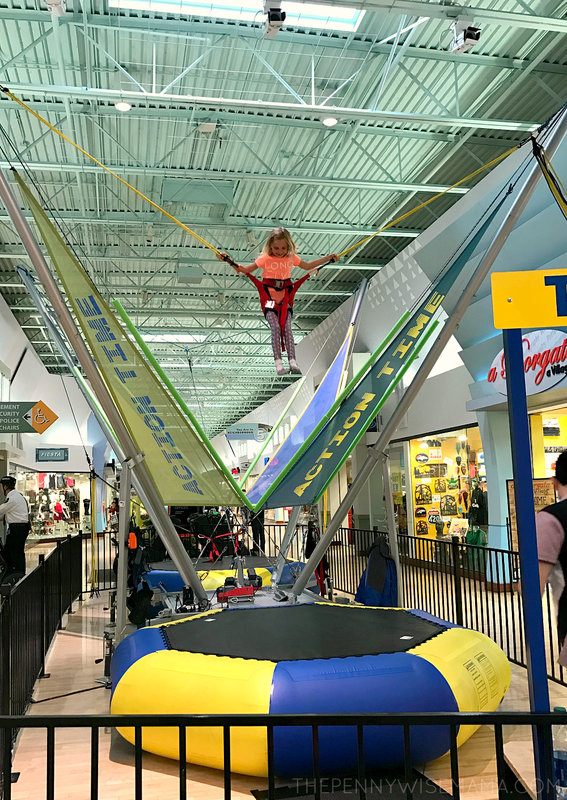 Besides shopping, there are plenty of fun things for the kids to do, such as playing glow-in-the-dark mini-golf, riding the indoor carousel and jumping on the bungee trampoline. There’s also seasonal experiences to enjoy, like the Easter Bunny photo set. 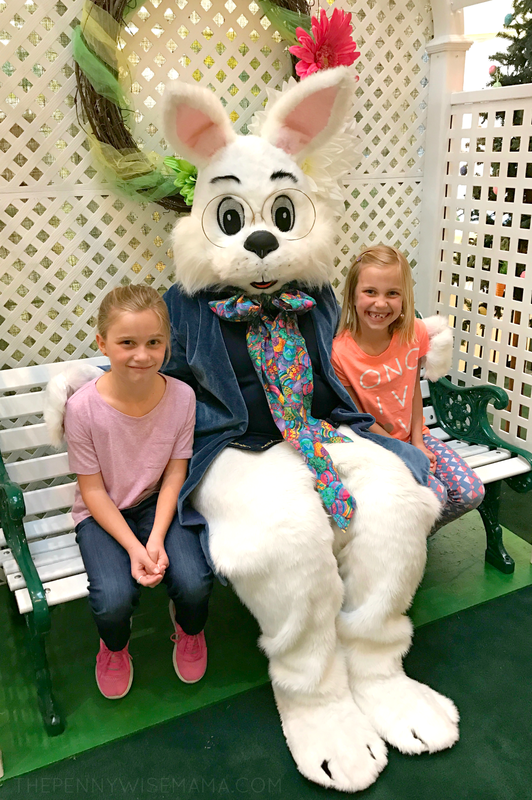 Make sure you stop by Colorado Mills between now and April 15 to see the Easter Bunny! Your kids will be able to say hi and even take a photo with the Easter Bunny. Fluffy is located in front of Build-A-Bear in the Kids Court. 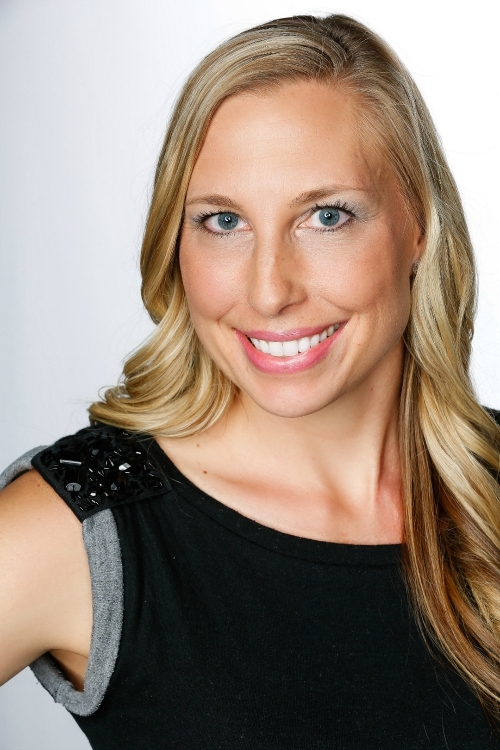 View times and schedule a photo appointment here. As you shop for spring apparel, make sure you check out Colorado Mills. You’ll find tons of great deals and your kids will love all the fun things to do! Who is excited for an AMAZING giveaway? Our friends at Colorado Mills have generously offered to give away a $250 Visa gift card to one lucky PennyWiseMama reader. The gift card can be used anywhere, although Colorado Mills would love if you used it at one of their stores! Simply use the Rafflecopter form below to enter. It is mandatory to follow Colorado Mills on Instagram; all other entries are optional. Enter daily for more chances of winning. Giveaway ends on 4/18 at 11:59 PM MST. Open to U.S. residents only. Good luck! I partnered with Colorado Mills, a Simon Center, to bring you this post. All opinions are my own. I will give it to my son to buys clothes for work. Can’t keep wearing college type clothes. Aw, they are too cute! 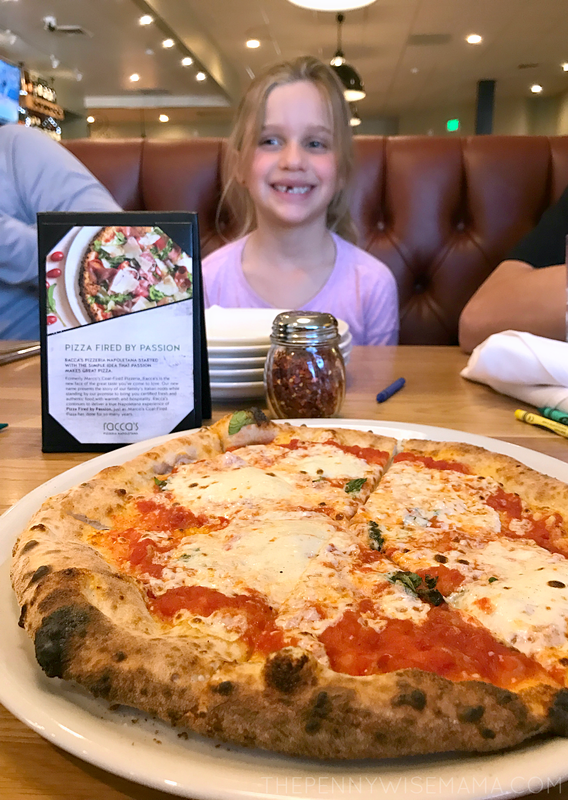 What a fun time… and that pizza seriously looks so good! I would love this! I would use some of it for some college books that I will need for this Summer. My Summer classes! I would have fun buying summer clothing for the grand kids. I would update my summer wardrobe for vacation. I need some new shoes and lingerie. If I won, I would buy some bedding, towels and supplies, for my son who will be going to college this year. I’ll buy summer clothes for my kids. 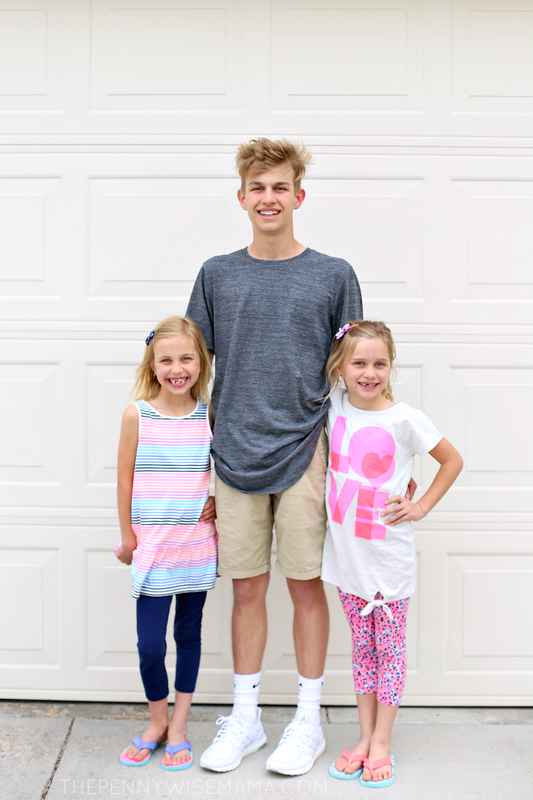 Summer Clothes for the kids and I! I would buy Spring/Summer clothes for the family. I would buy t shirts and shorts for my kids for the warmer weather if I win. If I win, I’ll spend it on some new clothes which I need! If I were to win, I would buy myself some clothes and some clothes and toys for my sweet little grandson. We love Colorado Mills! If we won I’d get my kids some much needs Spring clothing! Sneakers and sandals for everyone! I would put it towards new clothes! I need an update! If I won I would use the gift card to buy new running clothes and groceries. I would spend it to get my granddaughter a ton of new clothes and shoes! Oh gosh….I don’t know! I typically don’t buy much for myself. I would spend on kids’ clothing. I would spend the $250 gift card on gas and groceries. I’ll spend the gift card on a Blendtec Blender! If I win, I would use this gift card towards summer clothing for myself and for my grandsons! I would buy a few new Summer outfits. This is so awesome. I would definitely put this towards college books and groceries! I would use it for groceries and things like that. I need clothes and shoes badly.. and most definitely groceries!! I’d spend the gift card on summer clothes for my son & a nice gift for my mom. If I were to win it, I would buy myself some clothes and some clothes and toys for my sweet little grandson. We could use some new clothes. I will buy new luggage for my summer vacay! If I win some of the money will go towards groceries/diapers/boring adult stuff and some of it I will use to get a babysitter and go out on a nice romantic date with my hubby! Would buy a good quality toaster oven. What would I spend this on? Well, there are several birthdays coming up in my family & a new baby due to arrive to a cousin soon, so spending it would not be a problem. If I win, I’ll spend it on some clothes and shoes! I would buy clothes for summer. I would love to buy my kids some clothes, then I would save the rest for birthday/Christmas present! I would buy some new outfits for Spring! I would buy some summer clothing I think! This is so awesome and what a blessing it would be. I would use it for household items, groceries and some college books! I would love to get my kiddos some new clothes. I’ll save the gift card for summer clothes for my son. He’s getting so big, so fast. We would buy clothing for summer. We are traveling to Denver in the summer to visit family, so I’ll use it for gas and snacks! My kids could use new clothes. I’ll buy a new Spring outfit! I would use the money to take my hubby out on a date! I would spend it on new spring dresses. I’d buy a Vitamix or Blendtec! I’d like to buy a summer wardrobe. I would buy summer clothes. Thanks! My son needs new soccer cleats, so that would be one purchase. The rest would be used for summer clothes for all of us. My children desperately need clothes for this summer and fall, so I would spend it on them! I would buy a new suitcase for my summer vacay! If I were to win, I would buy myself some clothes and some clothes and toys for my cute, sweet little grandson. I would buy myself some summer dresses. We are moving so I know I will need things for the new house! If I win, I’ll buy a new outfit for my summer beach vacation. My children could really use some new clothes, so I would spend it on them. I would buy new dresses for summer! I’ll spend it on summer clothes for the fam and maybe a nice lunch. this could buy a lot of groceries! I would spend it on my 4 year old and 1 year old, I’d buy them new summer clothes! I would buy my kids new summer clothes and then save the rest for christmas presents! thanks for the chance! I would buy a summer wardrobe for my son. I would buy some Spring floral clothing. I would really like to use it on clothes and shoes for my children. I would use it towards a weekend getaway with my hubby! I’d spend the $250 for summer clothes for my kiddo. I’d buy a subscription to Hello Fresh for a few months! I would spend it on my children, to get them some clothes for summer and fall. i might put this towards a nice fathers day gift! I would spend it on some clothes for myself and some things for my grandson as well. Thank you. I’d use the prize to buy summer clothes for my family. I would buy a beach bag and beach essentials! I’d buy some snacks and new clothes for our road trip to Littleton, Colorado. I could use summer dresses. I would spend on my kids, for summer break coming, like a trip to disneyland! I would buy myself a bathing suit, some sandals and a sundress! I would spend the $250 gift card on a new Spring wardrobe. Id like to spend it on Duck Donuts but something tells me I should spend it on regular groceries instead…. My teenaged son could definitely use some new clothes. I will probably end up buying books! I would go shopping for clothes for my two children. If I were to win it, I would buy myself some clothes and some clothes and toys for my cute little grandson. I would buy a new suitcase for an upcoming trip! I’d buy a new hair dryer! It would be nice to update my summer wardrobe. I would love to use it towards a weekend getaway for me and my hubby! I would use it towards are vacation this Summer. I would buy summer clothing for us! I would buy shirts and shorts for my son. I would buy a new bathing suit and some sneakers! I’ll use it for our road trip to Littleton, Colorado this Summer! I would buy some new clothes for summer! Needs some summer pants.. mine are just worn out! My husband has recently been laid off and we are falling behind with money for bills, etc. If I were chosen the lucky winner, it would help us with everything from food, fuel and more! Thank you for the opportunity! I would like to buy myself a maxi dress. I’d buy some healthy groceries! I would buy myself some new spring dresses and sandals. I would love to have a steam cleaner to help with my spring cleaning. Going to be needing a new swim suit this year! I’ll buy a summer wardrobe. I would love to get some new sheets and comforter for my master bedroom! If I win I will probably use the money to buy some summer clothes for the whole family! Especially shoes…my daughter goes through shoes so fast! My children would love to have some new summer clothes with this. I’d buy some sandals for the Summer! My eldest child could use some new clothes. I would love to get some new sandals for Spring! I would really like to get some clothes for my kids, but I might get something for myself too. I’ll buy my husband new clothes for work! I would spend it on clothing for my family. I would use it to buy shoes and clothes. I’ll use it at my local grocery store and for gas! That would really help out! this would be so fun to spend! Id buy groceries. I would probably spend it on clothes for the children and groceries. I would probably use it to buy gifts for the kids. Grandkids needing summer clothes.. new tennies! My DH needs some new work clothes and some new shoes, so I would use it for him! Clothes for my youngest two they are growin way too fast and have grown out of thier shorts. I’ll buy some groceries so I can make my dad some healthy meals. I would buy some new sunglasses for spring! I would get some clothes for my kids and maybe some groceries. Most likely I would put it towards groceries and other household necessities, hope you and your family have a happy Easter! I’d buy clothes for Summer! I would buy a few outfits for our new grandson. I would love to buy some new shoes and clothes for the summer! I’d buy new shoes and workout clothes! I would spend some of it on bathing suit/beach shopping!! Those “out of the office” straw hats look so adorable! I need clothes for my children, but I might put it towards getting a new car seat. a new handbag for spring! I’d buy some new shoes! I could use it for vacation expenses. I would love to use it to start an emergency fund! I would go clothes shopping. If I win I will use it to pay bills. I’d spend it on a new vacuum cleaner. Mine broke and the hand me down I’m using is as old as me. I’m pretty sure they can hear me vacuuming in the next county. Any extra would go towards kitty stuff, I love spoiling my crew. Happy Almost Easter to you and your family! I will spend it on college books, groceries and pet food for my animals! I’d spend some of the money on sunglasses. I have so many on my wishlishts, it’s quite terrible! My children really need some new clothes, but I would also like to spend a little on myself. Id buy so much yummy food! I would buy some new lugage! I’d buy a pair of sunglasses for my husband because he lost his favorite pair! I would love to use it towards a trip to see my sister! I would like to get some birthday gifts for some family members. I would put it toward a new tablet. I would love to use the money to buy my kiddo’s some much-needed upgrades for their bedrooms! They share a room and are still in toddler themes, even though they are way passed toddlers. They really deserve their room done over! Happy Weekend! I would put this to good use for college books and groceries! I would use it towards new clothes for my hubby! To pamper myself I would enjoy a massage – oh yes! I would buy clothes and shoes. Thank you for the giveaway! There is this cute as can be black ruffle one piece from amazon that i have my eye on! I’ll buy a new spring jacket for cold or rainy days! I will get some new summer clothes. If I win this I would put it toward a summer getaway. And be so thankful to have it. I would buy dresses & workout clothes. Hope you and your family had a great Easter Sunday! I would use this for groceries and college books needed for Summer May classes! I would use the Gift Card toward a weekend getaway for my husband and myself. We NEVER get time away! If I won I would use it to do something out with the kids.. I would spend it on groceries and gas for the family! I’d like to get some clothes for my children and a new dress for me. I would probably use it for gifts. I’d buy my dad a new Kindle so he can read his favorite books anywhere. I would definitely buy a new pool float..the unicorn and swan ones have been on my wishlist for like 2yrs! i’d also buy my son some new swim trunks. If I won I would use this towards getting my sister a plane ticket to visit me after I have my baby! A road trip to see family. I would use the gift card toward a set of tires for my vehicle. I have lost 40 pounds so I would buy a few new summer clothes. I would mostly use it though for summer clothes for my son and daughter. I would spend it on summer clothes for my three grandsons. I can stand the noisy vacuum a bit longer. My daughter turns 19 on the 28th. I’ve been trying to get hints about what she wants but I think I’d spend it on a tasty lunch and then shop together do she can choose what she wants and we love getting similar products from Lush and Sephora. She works so hard I’d love to be able to treat her.